so follow these steps & add flying bird! 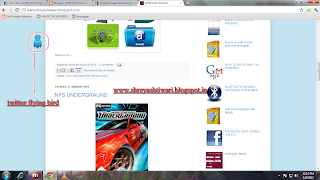 1. first use old blogger infrense bcoz itz better! 6. now enter your twitter username in place of "yourusernamehere!"